Do you want to design and sell custom made t-shirts that are truly unique and crafted to perfection? Choose the perfect color or combine them and get truly spectacular results. *Bundle includes two extra sheets of white and black colors. Create your design in mirror image. Place your vinyl sheet in the cutting machine. Make sure that vinyl side is up. Vinyl side is the glossy side for black, white and silver; white side for the rest of the colors. Test cut is recommended to determine the correct settings for your cutting machine. Weed the excess vinyl around the design. Set your iron to cotton or highest temperature. Also make sure your iron is set to no steam. Place your garment on a flat hard surface. Preheat your garment for 2-3 seconds to remove any moisture and wrinkle. Place your design on the garment. Make sure the vinyl side is down and harder plastic side is up. Place the teflon sheet over your design. Apply heat to entire area of the design for 15-20 seconds per area. Remove the teflon sheet and peel off the plastic. Set heat press to 300°F-320°F. Preheat your garment with medium pressure (20-30 psi) for 5-8 seconds. Place your design on the garment. Make sure vinyl side is down and harder plastic side is up. Apply pressure to the garment (20-30 psi) for 8-10 seconds. How to layer CraftVille Vinyl? 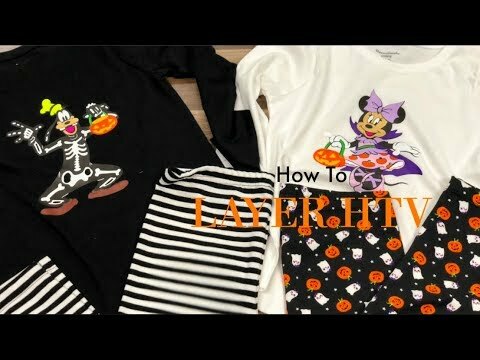 Tutorial from Crystal Ann showing how to layer CraftVille Vinyl for Goofy and Minnie. How to apply CraftVille Vinyl on tote bag? 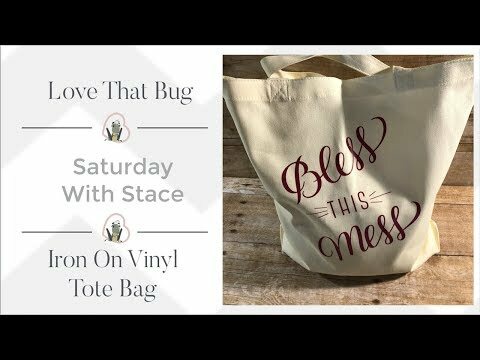 Watch Stacy from lovethatbug.com using CraftVille Vinyl for her iron on tote bag project. How easy to weed with CraftVille Vinyl? Rix from RixCanDoit using CraftVille Vinyl to made couple custom t-shirts. I love this htv vinyl it was easy to weed and the ironing process was easy enough. The backing is securely place on the vinyl so it doesn’t lift up like others I’ve used. This bundle has a great assortment of colors and just as described. It cut nicely with my Cricut and pricing is very good. The htv sheets are so easy to work with and they iron on great! 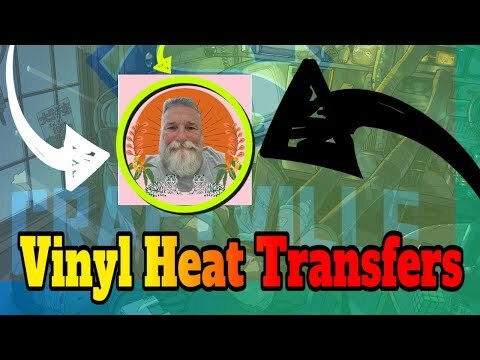 I definitely recommend this brand for anyone, whether it be for craft projects or professional usage, in my opinion this is the best set of vinyl heat transfers I have come across. We’re here to provide you more information and answer any questions you may have.